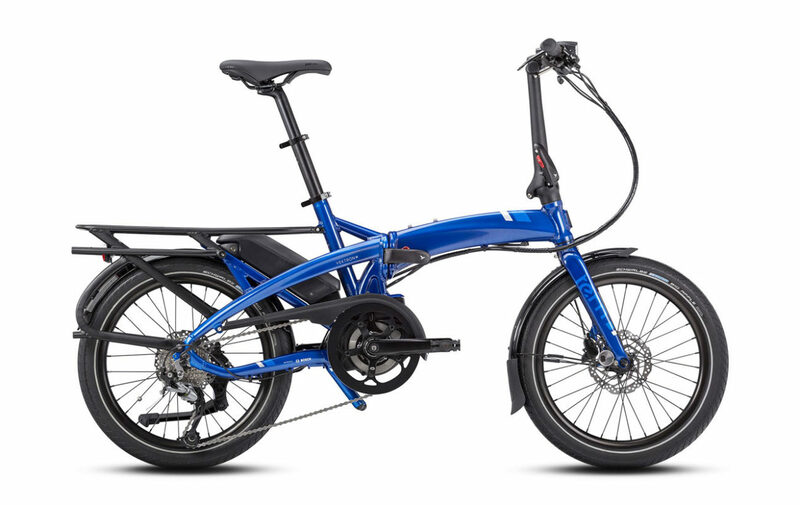 The Tern Vektron S10 takes everything great about folding bikes—multi-modal commuting, portability for travel and storage—and accelerates it. All around the world, the way we get from A to B is changing. With the world on the cusp of auto-mobility, ridesharing, and the mainstream arrival of electric vehicles, it’s an exciting moment for transportation. To help drive this force of change, we developed the world’s most compact Bosch-driven electric bike. 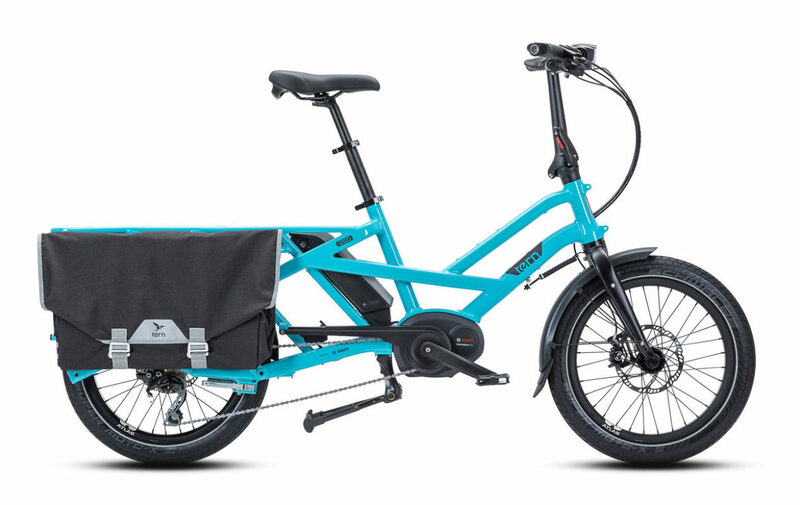 Tern helps people live bike-centrically, whether commuting to work, transporting families, or setting off on adventures. Check out the patented technologies responsible for our unique portability and incredible ride. 1. Postpump 2.0 Seatpost - This award-winning full-size pump stows in your seatpost so it’s always ready when you need it. 2. DoubleTruss Technology - Our DoubleTruss frame design creates a torsionally stiff 3D structure that’s light and elegant. 3. OCL Joint - Our state-of-the-art folding joint is strong, stiff, and engineered to withstand years of hard use. 4. Physis 3D Handlepost - With five separate patents, our massively stiff handlepost virtually eliminates flex while you ride. 5. Andros Stem - Our Andros stem lets you adjust for height and reach—in seconds—to find your perfect riding position. 6. VRO Stem - Custom built for Tern by Syntace, this incredibly light stem adjusts anywhere from -45 to +90 degrees. 7. Valo Lights - Our 41 lux, 150 lumens dynamo or battery-powered lights integrate perfectly in Tern cockpits. 8. Joule 3 - The Joule 3 dynamo hub boasts class-leading efficiency, and gives you power when and wherever you need it. 9. Kinetix Pro X - Kinetix Pro X components are the pinnacle of folding bicycle engineering. 10. 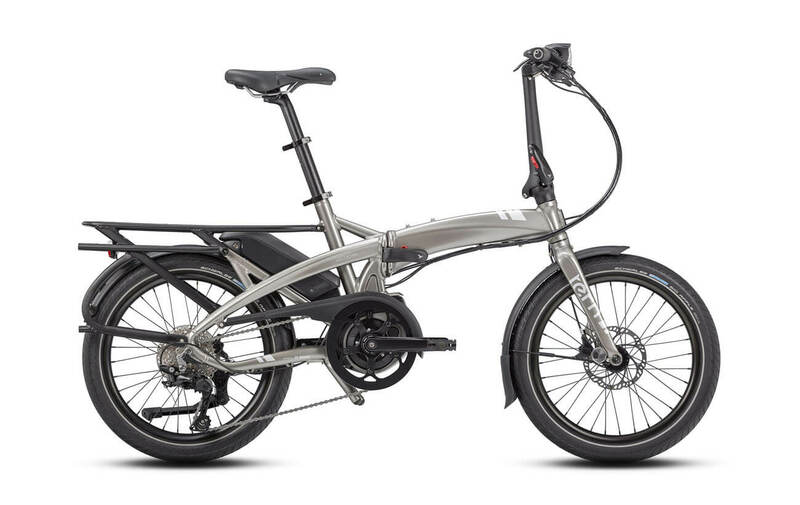 N-Fold Technology - Tern bikes fold small in 10 seconds thanks to N-Fold Technology. The Bosch Purion is the minimalist on-board computer that lets you choose between five different riding modes, displays your speed, charging status, range, trip distance, and total distance. Plus, it allows you to control the integrated Supernova lights with a push of your thumb, so both hands remain safely on the handlebar. The Bosch PowerPack 400 watt hour battery is an efficient energy provider with staying power. It combines impressive mileage, a long lifetime and low weight. Easy to install or remove, it can be charged quickly irrespective of the charge level. It will power a range of 30-80miles (50-130km) depending on the mode and terrain.